It's a problem when a Democrat gets beaten fair and square. It's never a question of them getting beat. It's either the Russians, or voter suppression, men from Mars mocking things up for them. 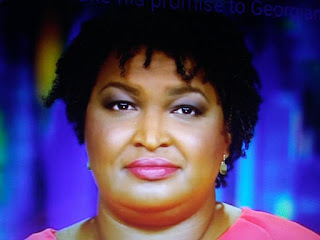 Atlanta Journal Constitution reports Stacey Abrams halted her run for Georgia governor Friday, but the Democrat said she would not concede the contest to Republican Brian Kemp and planned to launch a voting rights group to file “major” litigation challenging election policies.